It's not always easy to save money, but it's more a matter of our priorities rather than just a numbers game. Instead of putting off saving until you reach certain milestones like that next raise, make your future needs more important than the stuff you want today. 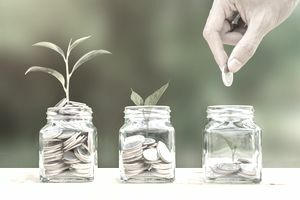 See if you can make some of the following tweaks to your personal financial management and watch the savings start adding up. Make a scheduled date each week to check on your finances and make a budget for your spending. It's the key to all savvy financial planning, and you can use these worksheets to guide your spending and saving habits. Make sure to track your actual spending each week also, so that you know how you're tracking against your budget. Cut out those extra expenses. Paint your own toenails instead of getting pedicures, brew coffee at home rather than buying coffee out, and reduce the amount that you dine out. That alone can probably save you $100 per month or more. Bundle your errands into one long, massive trip per week in order to save on fuel costs. Prevent emotional spending, such as buying yourself a "treat" when you're upset. Don't play the "keeping up with the Joneses" game. Instead of comparing yourself to anyone else, spend beneath your means each month and put more money into your savings. Make a practice of paying all debts as soon as possible. This habit can save you hundreds or even thousands of dollars in interest over time. Map out your debt-payoff goals with amounts and a timeline. Keep track of your progress, and visualize how good it will feel to make that final debt payment. If you own a home, see if you can lower your monthly payments by refinancing your mortgage. If you're paying private mortgage insurance (PMI) and you think you have enough equity to waive the PMI, call your lender to start that process. If you're in credit card debt, call your creditors and ask them if they can lower your APR (interest rate). Pay off your remaining debt using the avalanche method., which involves paying the minimum payment on each account, then taking any remaining funds and paying extra on the account with the highest interest rate. Buy your groceries in bulk at wholesale stores like Costco or Sam's Club, and do a meal plan once a week so that you can buy only what you need. Cook more meals at home, too, so that you can save money by not eating out as often. Shop for things you need at garage sales, thrift stores, secondhand boutiques, eBay, and Craigslist. Check prices online before buying something at a retail store, and check for coupon codes. Delay gratification and put off impulse buys. Learn to wait for one full day before buying to see if you really need the item in question. Get creative and give meaningful gifts, rather than expensive ones. An inexpensive yet sentimental item—such as a framed, special photograph—often makes the best gift. Buy fewer items, and focus on purchasing higher-quality items. You'll find over time that quality items actually cost less per use than lower-priced items because they last much longer and often have classic designs that don't go out of style. Minimize your cable/satellite TV and internet packages. Do you really need 500 channels? Switch to Amazon Prime Video, Netflix, or Hulu. Reduce your cell phone minutes to the lowest amount you need, then set an automatic calendar reminder to check your minute usage four days before the bill is due. Then you can change your plan and avoid overage charges. Plant shade trees around your house to help you save on the cost of air conditioning. Plug appliances into a power strip. Flip the strip's switch off whenever you're not using one of those appliances. You'll save on the cost of 'phantom energy,' which is the slow drain of energy that stems from keeping things plugged in. Join a gym only if you'll use your membership regularly. Keep your home a little hotter in the summer and a little colder in the winter. Don't feel the need to go overboard; simply turn the thermostat up by an extra four degrees in summer and down by an extra four degrees in winter. Put an insulation blanket over your water heater to prevent heat from escaping. Teach your kids about money. Let them earn money for chores, earning 50 cents for this, or $1 for that. Help them delay gratification and save their chore money for the toy or video game that they want. Caulk and weather-seal all the drafts and gaps around your doors and windows. Sell or trade your gas-guzzler for a more fuel-efficient vehicle. If you live in an area with good public transit, commute on the subway or the bus, or consider becoming a one-car family. Service and maintain your car. Although it may feel like an extra expense, you'll save in the long run by avoiding expensive repairs. Choose a bank savings account or CD that pays decent interest, so the money that is sitting in your account earns more over the year. Keep copies of your receipts in an envelope or file folder, organized by store or by month, so that you can find them if anything breaks and you'll have proof of purchase for any warranty repairs. Host potluck parties instead of having expensive affairs where you need to spend a lot of money on food and beverages. Use Airbnb or one of the other various lodging rental sites to find vacation rentals for less money than traditional hotel accommodations.